For the second time in a year, the Paso Robles Planning Commission was asked, at its Aug. 30 meeting, to expedite marijuana regulations. 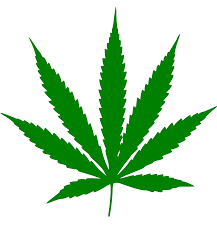 The first was a ban of medical marijuana cultivation in Paso Robles. This time we were asked to act fast because city staff is concerned about Proposition 64, the Adult Use of Marijuana Act, being passed by voters in the November election. The staff forwarded to the commission a blanket ban on all personal and commercial marijuana activities that may be banned by local governments in accordance with the act. We heard testimony from about a dozen people. All but one appeared to support sensible regulations, but oppose a complete ban. I’m concerned that we don’t rush this process. Last December the California League of Cities issued an advisory recommending that cities act quickly to meet a deadline. The commission and city did. Today, I checked with the California League of Cities to see if they had issued an advisory on any urgency for this type of ordinance before the election. They have not. I contacted a California League of Cities attorney to ask about this issue. The attorney said there is nothing in the Proposition that limits local control. Cities are free to write regulations until the state begins its licensing program in 2018. We don’t have a compelling reason to rush before the election. I want to thank the speakers for coming tonight. I appreciate their input and I have some thoughts. For us to have an informed policy discussion I think it is important that we weigh the costs and the benefits of a proposal. The staff report appears to be one-sided. It has several assertions in it that have no attribution. Most all the staff report’s comments and articles attached are coming from just one point of view. I would like to see more facts. I would like to be able to consider the pros and cons. Specifically, shouldn’t we consider the beneficial economic impact of regulating sales of marijuana. The San Francisco Chronicle this month published an article that said cities now are considering taxes on retail marijuana sales of 5, 10, even 25-percent. Looking at other California cities, there are currently more than 1,000 medical marijuana dispensaries in operation. They generate as much as $2 billion in retail sales a year, according to the California Franchise Tax Board. There are people smoking marijuana in Paso Robles today. There are people buying and selling marijuana in Paso Robles today. This proposition gives the city a new opportunity. We finally have the chance to receive some benefit in the form of taxation. Extrapolating from other cities’ data, I think the city of Paso Robles could raise up to $1 million in tax revenues. We could do a lot of good things with those funds, such as hire police officers and expand city services. I think we should have an economic analysis to find out how much income and how many jobs we might gain, before recommending a ban. This is a politically and emotionally charged issue. I’m not sure how the citizens of Paso Robles feel about it. Fortunately, we have a chance to hear what our citizens think in the November election. I think we should wait and see how the citizens of Paso Robles vote and consider that as a factor in making the decision before us. I applaud staff’s recommendation tonight for public workshops. I think we should have an open discussion with experts, stakeholders and the public. I think we should have that discussion before asking staff to draft a recommendation for the city council. So, if other commissioners are interested, I would like to table this item till after the election, and then begin the process with a public workshop. After discussion from the commissioners, I moved to file and receive, or table, the report until after the election and after community workshops. My motion failed on a 3-4 vote. Then Commissioner John Donaldson moved to pass the complete ban, seconded by Commissioner Shannon Agredano and supported by Commissioner Sheree Davis and Chairman Bob Rollins. Doug Barth, Tom Burgett and I opposed. At the end of the evening, Commissioner Barth made an excellent observation about the due process of new ordinances. Lately, when crafting new laws, the city goes through an extensive process of hosting workshops and sub-committee meetings, gathering advice from the community, stakeholders, and experts. This process was used for a new grading ordinance, vacation rental ordinance, housing constraints ordinance and others. It’s a process that works and creates an outcome with community buy-in. I think the commission should not have rushed new regulations. I agree with you, Scott. Why not wait and let the voters decide. I want to thank you Scott for being the a voice of reason on the council. We did well in getting you there! League of Cites is 50 years old, and funded by Police Depts across USA.